Posted: February 7, 2012 2:00 a.m. Updated: February 7, 2012 2:00 a.m. 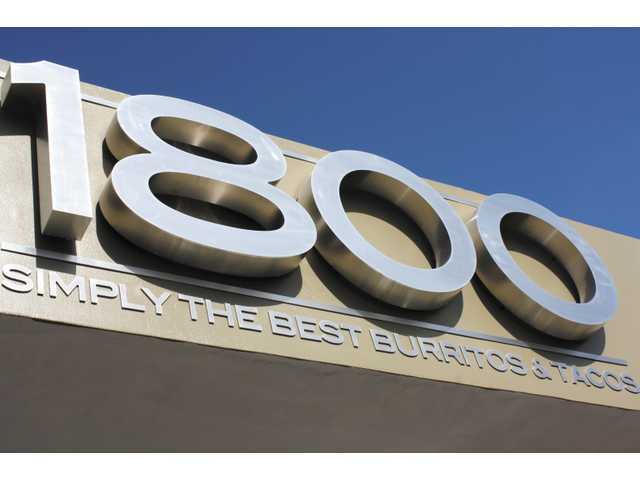 The sign over The 1800 Restaurant, which serves burritos and tacos, is seen on Jan. 31, the day the eatery opened, on The BLVD in Lancaster. The restaurant is open from 8 a.m. to 9 p.m. daily. A new eatery, the 1800 Restaurant, opened Jan. 31 and offers a selection of healthful burritos and tacos. The 1800 Restaurant is on The BLVD in Lancaster, joining a number of new businesses that have opened in the past year. The latest restaurant to join the downtown business district was established with assistance from the city of Lancaster’s Commercial Property Improvement Program and InSite Development. The retailers and restaurants that have opened on The BLVD include the Laemmle Theatre, which opened in 2011. 1800 is owned and operated by Jose Manriquez, a restaurateur who has dreamed of opening his own restaurant since he was a little boy. His restaurant is the second eatery on The BLVD to be owned by members of his family. His brother Atanacio “Tacho” Manriquez owns the Brooklyn Deli just down the street. With assistance from the CPIP grant and the partnership with InSite Development, his dream is becoming a reality, Manriquez said. “1800 on The BLVD is another great piece to the puzzle. Simply put, 1800 will be an eating destination for breakfast, lunch, dinner and late-night munchies. All of our menu items are prepared daily; not a single item comes from a can,” said Scott Ehrlich, principal of InSite Development. InSite Development identifies land it considers to be undervalued and then acquires, rehabilitates and develops properties in Southern California. The company owns or manages 16 properties in the Lancaster and Palmdale areas. 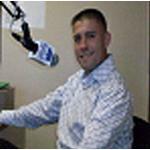 “When Scott offered this business opportunity to me, I didn’t think twice,” Manriquez said. “Our unique salsa is made fresh on site. It is spicy, but once blended with food, it is just the perfect balance between taste and spice. One bite and you will be addicted,” Manriquez said. Open 8 a.m. to 9 p.m., the new restaurant offers to-go orders and outdoor patio dining. 1800 is located at 649 West Lancaster Blvd. in Lancaster, 93534. The eatery’s phone number is (661) 951-8226.